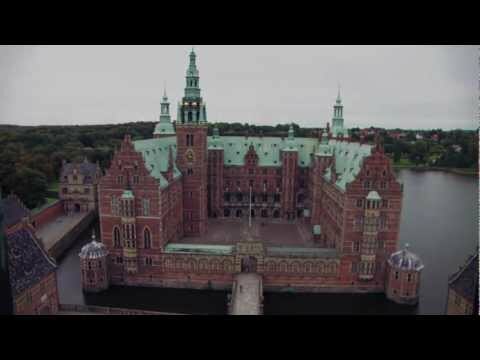 Frederiksborg Palace is a top royal attraction in Denmark and in the palace, you will also find The National Museum of History, Denmark`s most impressive castle museum. You will find the palace north of Copenhagen in the city Hillerød. The palace, which is surrounded by the beautiful Frederiksborg Palace Garden, was built in the Dutch Renaissance style at the beginning of the 1600 century by King Christian IV. At Frederiksborg Palace you can visit the Museum of National History which exhibits the history of Denmark and houses a considerable collection of portraits, historical paintings and modern art. The Castle Chapel survived when the rest of the palace burnt down in 1859 and today it stands as in Christian IV's time. The amazing Castle Garden was laid out as a romantic landscaped garden. Here you have to see the baroque style garden, that was recreated in 1996 according to the original drawings by J.C. Krieger from 1725. Especially worth noting are the royal monograms executed in boxwood, the historical flowers and the festive cascades. In the garden, you will find King Frederik 2's small Bath House Palace (Badstueslot), which is occasionally used by the Royal Family for hunt lunches. The Freetown Christiania, a society within a society, about a community who wanted to stay and live by their own rules. Carlsberg Museum is one of Copenhagen´s most popular museums and tells the story about the famous beer. In the heart of Copenhagen, you will find this architectural masterpiece. It is from the 17th century and the oldest functioning observatory in Europe. Copenhagen has a large number of interesting museums, and one of the most exciting art museums are Ny Carlsberg Glyptotek. The Copenhagen City Hall is one of the most popular and visited places in the capital.